From March 23 to March 31, 2019, a delegation composed by 30 representatives of the leading Italian universities, research centres and public institutions will take part to a ‘Technology Transfer’ tour in China. The tour has been co-organized by the Galileo Galilei Italian Institute (GGII), the Italian Network of Technology Transfer Offices of Universities and Public Research Organizations (Netval), the Conference of Italian University Rectors (CRUI), the Conference of General Directors of University Administration (CODAU), with the support of China-Italy Technology Transfer Center (CITTC). Netval, founded in 2002 as an informal network, became an association in 2007 for the valorisation of results from public research. Netval aspires to be the organization where Technology Transfer Offices (TTOs) of Italian universities and public research organizations can meet, share experiences and learn together how to better transfer their research results to industry. The tour, at its first edition, is articulated into three symbolic destinations where Italy assigned its Scientific Councillors – namely Beijing, Shanghai and Chongqing – with the purpose to give an in-depth understanding of the major technology transfer trends in the Middle Kingdom and present this unique business and research environment, together with the opportunities and challenges that such a dynamic environment poses. The Technology Transfer Tour will give an overview of the context of Chinese technology transfer in intellectual property rights, trademarks and patents, contract models and licensing. Participants will enjoy numerous networking occasions with possible local partners, joint research centres, technology transfer platforms, incubation centres, hi-tech companies and enterprises as well as investment funds. At the end of the tour, delegates will have a clearer idea about the structural framework and technology transfer procedure, thanks to the help provided by experienced stakeholders in China. The tour will also give a detailed background on science, technology and innovations business of Italian and European enterprises in China. “I think that professional updating is important and dealing with different models is fundamental to operate at our best in our context. I also think that this tour will generate great possibilities for cooperation: we have our patents, start-ups as well as spinoffs, and we need to develop new technologies together for the future. Not only enhancing the present, but also planning the future based on common challenges: both Italy and China have problems with the aging of society and we certainly have the opportunity to collaborate on very important sectors such as life sciences and precision medicine. We have many positive cases to discuss. Finally, we would like to promote greater students’ mobility between the two education systems,” said Lorenzo Zanni, Vice President for Technology Transfer at Università degli Studi di Siena. In Beijing, the delegates will start the tour with an introductory meeting by Guido Giacconi, President of In3ract and National Chair of Energy Working Group of the European Union Chamber of Commerce, on the Belt and Road Initiative and Made in China 2025. The meeting will be followed by a seminar and networking session with the Technology Transfer Offices of local universities and the World Trade Organization for Intellectual Property (WTOIP). In this occasion, delegates will discuss topics such as the development of Chinese IP service industry and the IP business model in China. Always in Beijing, participants will visit Tsinghua University, ranked 1st in China and 22nd worldwide in 2019, as well as Tsinghua X-Lab, a university-based education platform designed to foster student creativity, innovation and entrepreneurship, and TusStar Incubator, that firstly introduced the concept of “incubation + investment” in China for innovation and entrepreneurship business and was elected as the ‘national incubator’ by the Torch Centre. 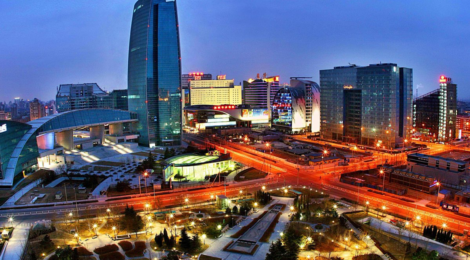 Before leaving Beijing, our delegates will assist to a presentation on “The Tech-Transfer value chain” by Huang Ping, Director of the China-Italy Technology Transfer Centre in Beijing and pay a visit to the Institute of Automation of the Chinese Academy of Science as well as at the Embassy of Italy in China. “I truly believe that this trip to China represents an important opportunity for in-depth cultural, technical and professional comparison and mutual understanding. We know that Chinese culture places personal relationships at the centre, even in professional relationships, and that, as in any other country, there are rites, conventions and practices that play a central role in the development of any business. China, in any case, represents a partner increasingly in search of technology and with development trends that are by now incomparable with respect to the “West” and it is therefore extremely important to learn to know each other to facilitate future relations, also in the TT field,” said Mr Shiva Loccisano, Head of Technology Transfer and Industrial Liaison Department (TRIN) at Politecnico di Torino. In Shanghai, participants will visit Huawei Research Centre, ISpace – pioneer and advanced Innovation & Entrepreneurship community in China, as well as member of the “National Innovation Alliance” – and Tongji University where, besides visiting the campus and meeting with representatives of the Sino-Italian Center for Sustainability, there will be time for a brief discussion with the Association of Italian Scholars in China (AAIIC). In Chongqing, the last stop of the tour, participants will visit China Automotive Engineering Research Institute and, before concluding the trip with a Workshop at TusPark Chongqing, they will join a scientific matchmaking with several Schools and Departments of Chongqing University as well as the Science & Technology Commission of Chongqing Municipality. A special thanks goes to the support given by the Embassy of Italy in Beijing, as well as the Consulate General of Italy in Shanghai and Chongqing for their support in the planification of the tour and for giving their availability to welcome our delegates and providing legal and strategic expertise to enrich their knowledge of China Tech-Transfer environment. 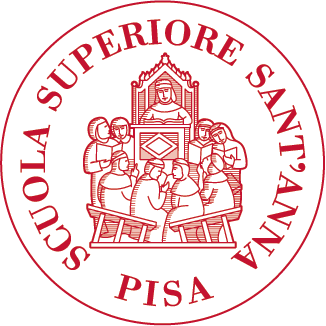 Andrea Piccaluga, Full Professor at the Institute of Management of Sant’Anna School of Advanced Studies and President of Netval, said that “there are a lot of opportunities connected to knowledge transfer processes between Italy and China. And also, a lot of complex issues linked to differences in procedures, laws, expectations, objectives. I am sure that this visit will be a great opportunity to learn more about all this. But what I really most is that this learning will take place at system level, since the Italian delegation is very representative of our national research system. On behalf of both Netval and the Institute of Management I must admit I am very proud of this initiative and very optimistic about its long-term outcomes”.